Now that it’s summer and quite hot, I have been staying away from makeup and instead just keeping it simple with some BB cream or just using a tinted moisturiser. But every once in a while I do love to dress up, especially for night outs or for a special occasion, where I will use a light foundation. 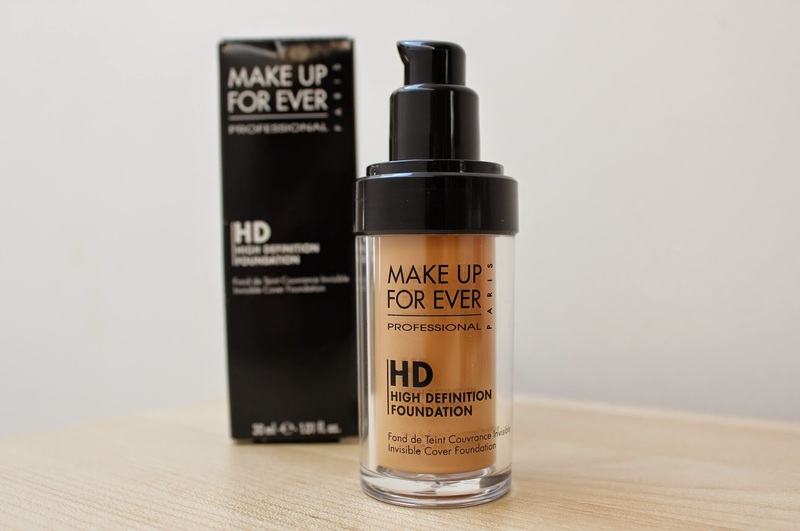 And my favourite recently has been the Make Up For Ever HD foundation. I had been to Sephora months ago during my trip to the US where I had picked up the MUFE HD foundation. I remember being completely blown away with the different shades they had and immediately got to work, trying out the different shades (samples obviously). I did manage to get the perfect shade then, however now it feels slightly darker then my current skin tone, but it will do. The MUFE HD Foundation comes in 26 shades in a 30 ml bottle. It is priced at $42. The packaging is quite neat – A transparent plastic bottle with a black lid and a pump. 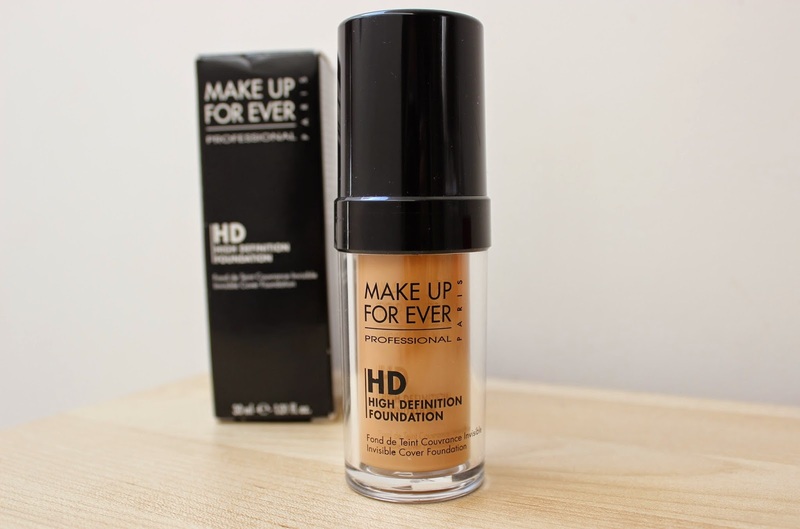 It is described to be “An oil-free medium-to-full-coverage liquid foundation that covers skin imperfections flawlessly while remaining invisible on-screen and in real life.” I quite agree with the statement – I thought it provides very good coverage and was easy to blend. I have applied it using my fingers, a sponge and a foundation brush and it blends well and is easy to build up whichever way you apply. I find that it doesn’t give a cakey look and manages to stays on without breaking up for a good 6-7 hours! Overall I think the MUFE HD is a very good product and worth the price. It photographs really well and I have received quite a few compliments. But is this the best foundation out there? The search is probably never ending.